Another year has come to an end. 2015 was full of life in so many vivid ways: creatively, intensely, and tragically, but also wonderfully presenting its own set of challenges and obstacles to overcome in the new year. And as a year also brings, we also lost many shining figures in the entertainment world among other fields. 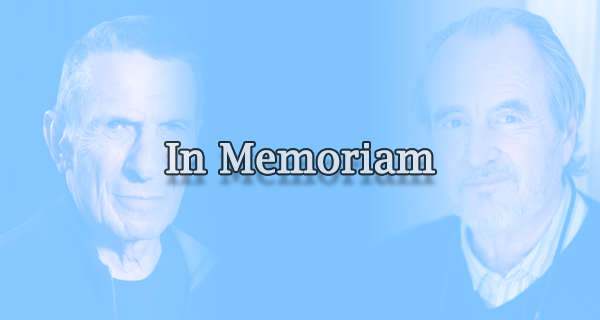 Here’s a rundown of some of those figures who touched our lives and will continue to touch our lives always as we remember some of the key people in Television and Film, in front of the camera and behind the scenes, people who are legends, pioneers, luminaries, inspirations, and above all, timeless. 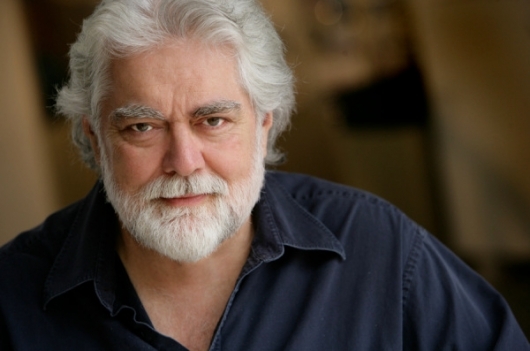 Gunnar Hansen, who played the iconic killer Leatherface in the original Texas Chain Saw Massacre, died yesterday from pancreatic cancer at his home in Maine, according to the LA Times. He was 68. Hansen was born in Reykjavik, Iceland and moved to the United States at 5. His family moved to Texas where he grew up and attended the University of Texas, studying English and Scandinavian Studies. He was a hulking figure and was cast by Tobe Hooper as the flesh face, chainsaw-wielding psychopath in the 1974 horror classic, The Texas Chain Saw Massacre.